In the sim… the new Whitetail Cadet Programme from the Wings Alliance aims to get you in the right seat of an airliner for £59K. The Wings Alliance has launched a Whitetail Cadet Programme costing £59,000. 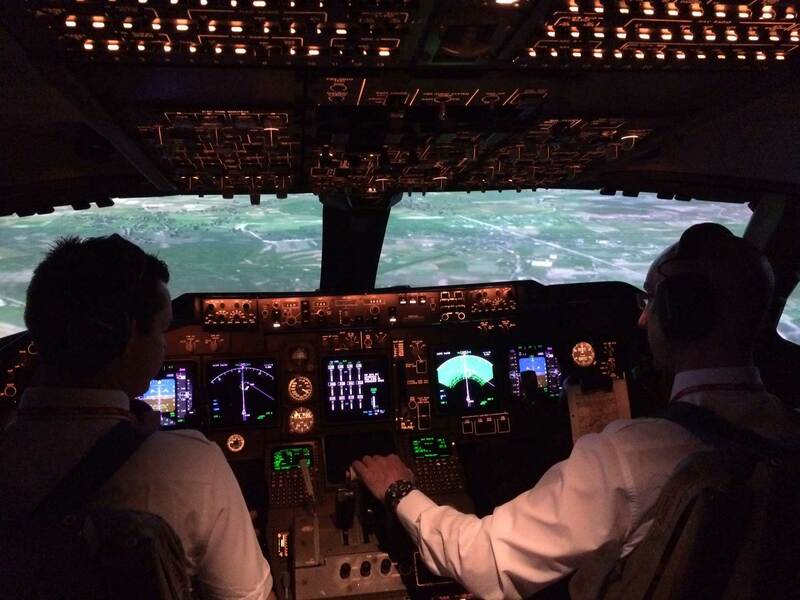 It offers EASA airline pilot training through an alliance of high-quality flight training schools across Europe. The Wings Alliance is a not-for-profit association of flight training schools run on ethical principles. The Whitetail Cadet Programme is designed to place individuals in their first airline job at a lower cost than competitors but with no compromise on quality. The programme is suitable for people with little or no flying experience. Using facilities in Spain, Sweden and in the UK, this fully managed training route is focused on airline optimised training in the latest glass cockpit aircraft. The 16-month, full-time, campus-based route is designed to get individuals used to two pilot operations early in their training. Time normally be spent flying solo on visual navigation exercises is replaced by more relevant two pilot, instrument flight rule, airline style procedures. Overall costs are typically just over half of traditional ‘integrated’ training programmes. Eligible to apply for a Training Bond to help spread the cost of training. More than 30% more actual flying time than an integrated cadet programme. 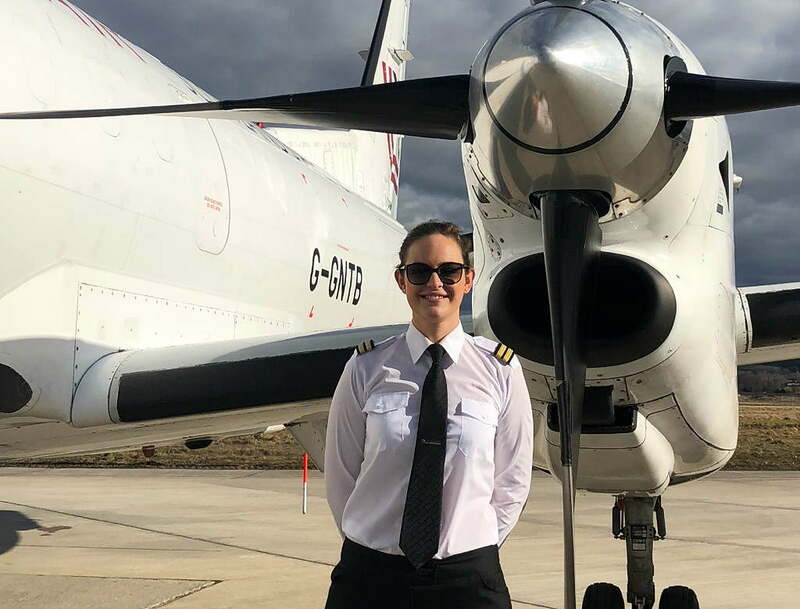 Hanna Kerr, now flying as a First Officer for Loganair, took her ATPL training through the Wings Alliance. Rod Wren, CEO of the Wings Alliance, said, “This is just what the industry needs. We can offer a real high value alternative for aspiring commercial pilots seeking a direct route to airline employment. “On traditional flight training courses, student pilots will spend much of their time flying on their own ‘visually’: without reference to the flight instruments. “However, airline pilots always operate as part of a team and under ‘Instrument Flight Rules’ (IFR). Our programme is unique in introducing multi-pilot IFR airline style flying as part of basic training, making it more relevant to our cadets’ future as airline pilots. If individuals are unable to commit to a full-time managed programme, there is another option available – the Wings Alliance Flexible Programme. This route can be individually tailored to suit people’s needs. Training takes place at member schools of the individual’s choice, and the schools chosen will depend on the individual’s circumstances and location. Finally, for pilots who have already completed much or all their flight training, the Wings Alliance offers the opportunity by selection to enter the industry’s leading Wings Alliance APS-MCC course, with subsequent airline placement opportunities. The APS-MCC course has been developed by current airline trainers and managers. Individuals will learn to operate as multi-crew pilots on a jet airliner in a four-week course which will, in addition to teaching pilots to fly an advanced airline simulator, equip them with the personal skills they will need to function effectively as an airline First Officer. Whichever of the training routes chosen, the Wings Alliance offers individuals a free mentoring and support service.